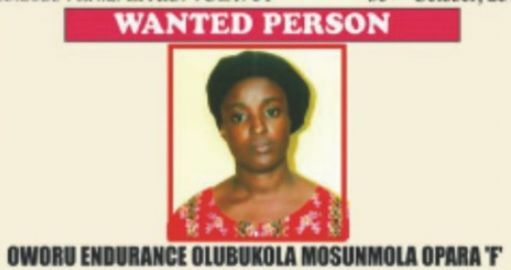 The Zone 2 Command of the Nigerian Police Force, Lagos, has declared Ms. Oworu Opara wanted in connection with a case of stealing the sum of N200million. She was a cashier and accounting officer in Universal Hair Care at No. 25 Issa Williams Street, Apogbon, Lagos, where she stole this money. Zonal Police Public Relations Officer, SP Dolapo Badmus, in the statement says a handsome reward awaits anyone with useful information that can lead to Ms. Opara's arrest. 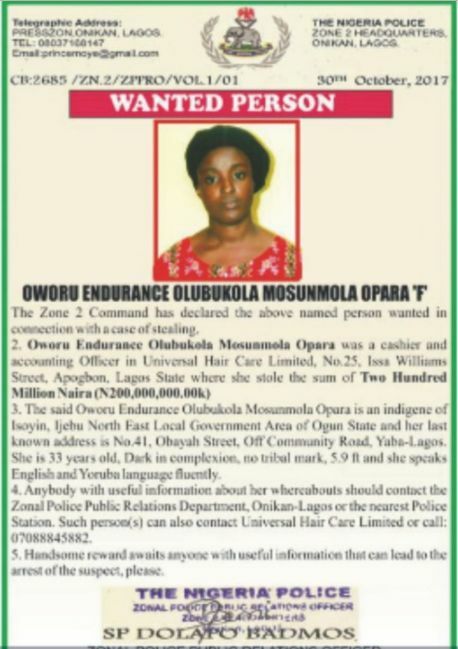 Ms. Opara is an indigene of Isoyin in Ijebu North East Local Government Area of Ogun State.